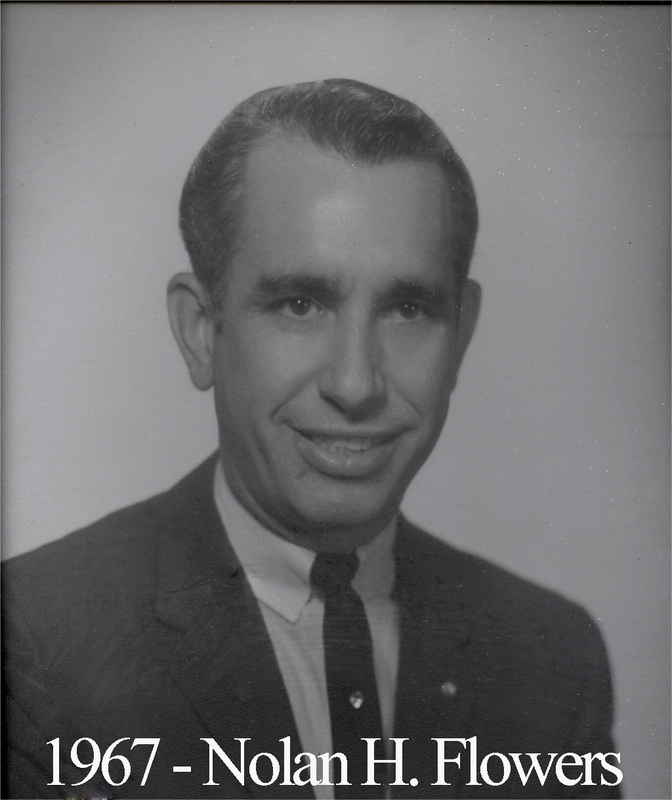 Nolan Flowers was born November 24, 1921 in Mooreville, Texas but the family moved to Texas when he was quite young. He graduated from Waco High School in 1939 and then attended Four-C Business College here before joining the Navy. He served in the Navy during WWII, and was self-employed immediately following the war. He also returned to school at Four-C. Madison Cooper hired him in 1949 but he was soon hired away by the VA Hospital. In 1951, he began work as an IRS agent. He stayed with the IRS for the remainder of his career in various capacities. While advancing his career, he attended night school at Baylor throughout the mid-1950s. For many years, he worked in local activities like the Boy Scouts, Camp Fire Girls, Little League Baseball, Peewee Football, and more. Nolan was also a devoted member of Lakewood Christian Church. Brother Flowers was made a master mason at Waco Lodge on June 13, 1959. He served as the Master of this lodge in 1967, and as District Deputy Grand Master of District 197B. He was a charter member of the Waco Scottish Rite Bodies and received the honorary degree of KCCH. Brother Flowers served as the secretary of Waco Lodge for six years and was awarded the Golden Trowel Award for his many years of dedication in 1993. Brother Flowers died on May 16, 1995.